gettin’ There&Around | Bali Eclectic Info, be Beachylicious! The ‘fun’ way to explore Bali is with motorcycle. First, so many traffic (in indonesian langu age: macet), a lot of small alleys, mostly everything within short distance. around Rp 50k a day, or Rp 500k a month. Very easy, just hit the gas for automatic motorcycle and you are ready to go. Don’t forget to use brake :), look on rare mirror once in a while, and the signal lamps are not for acessories. Or you can ride Ojek a motorcycle taxi. You may find a lot in every street on busy area. Fast, but sometimes they charge more than regular air conditioned taxi especially if they know you are in hurry. Do ask the rate before you jump in (they could give you a ridiculous rate) and do bargain. Please ware helmet for your own good. 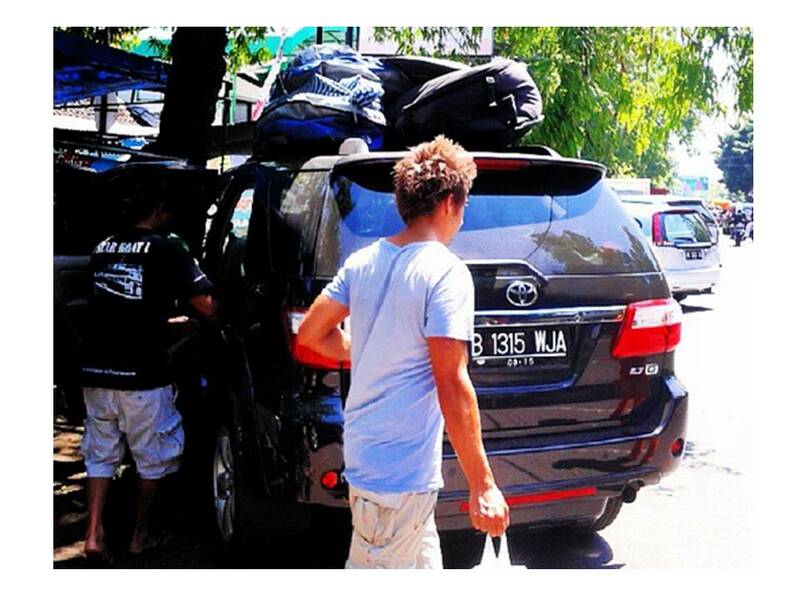 If you go with family or in group or want to explore the island around, better rent car. Again, many rentals around, and call above number for bargained price (by quoting this blog). Small karimun estilo Rp 150k, avanza/avp/xenia Rp 180k. Kijang Innova package with gasoline+driver add Rp 600k. 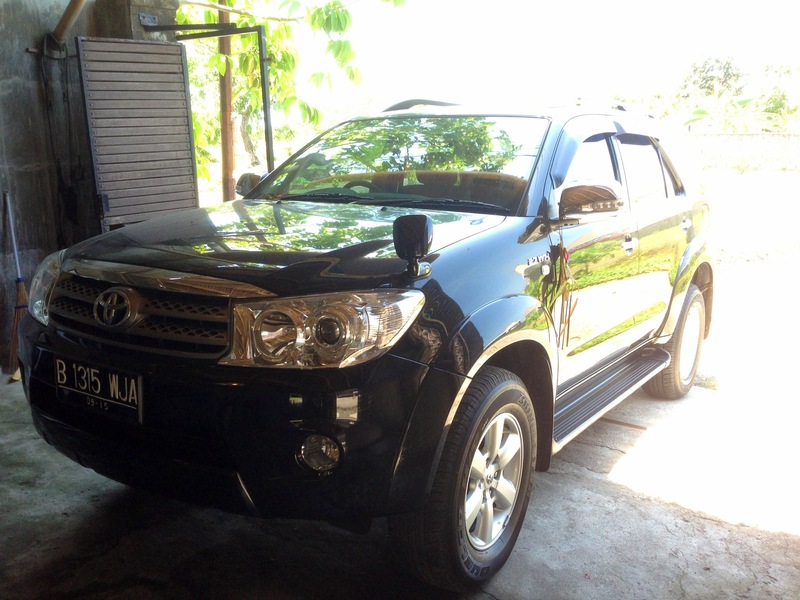 SUV Jeep Fortuner automatic rental with petrol+driver Rp 1.200.000 per 10 hours. For further journey, a budget shuttle is available. A sit in couch transportation type. Benoted of schedule. Filed under $, $$, gettin' There&Around, Highly Recommend, on Budget, transport, mister?